Plzen: Santiago Solari's chances of staying in charge of Real Madrid keep getting better. 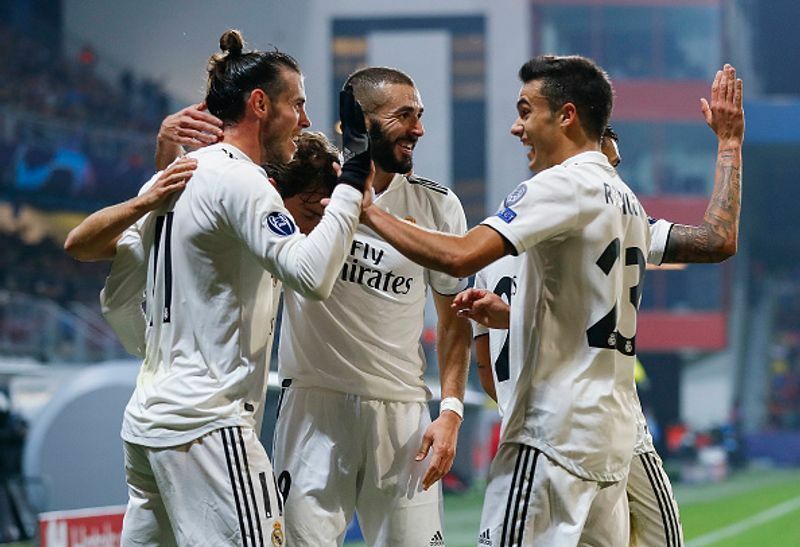 Solari's resurgent Madrid routed Viktoria Plzen 5-0 in the Champions League on Wednesday, winning its third straight match in all competition since the interim coach took over to replace the fired Julen Lopetegui. 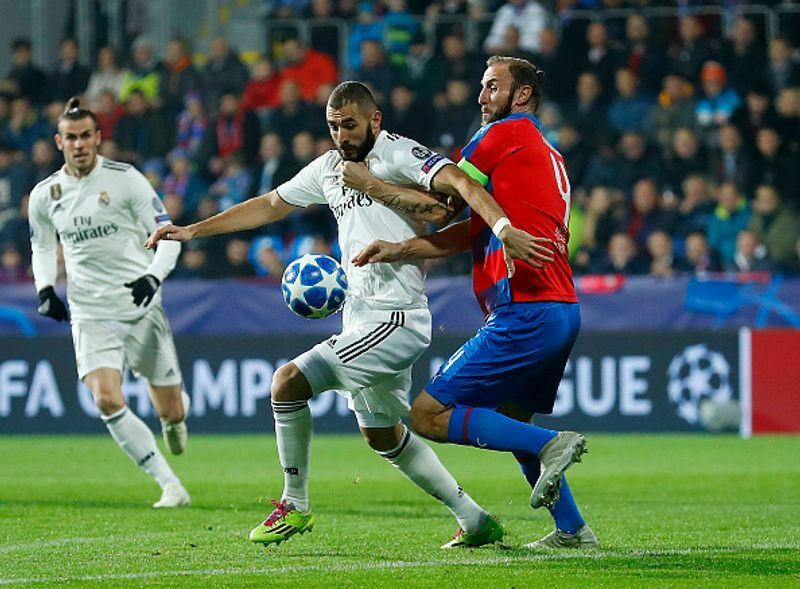 Karim Benzema scored twice and Casemiro, Gareth Bale and Toni Kroos also netted for the three-time defending champions, leaving Madrid level on nine points with Roma, who won 2-1 at CSKA Moscow earlier Wednesday in Group G.
"It's impossible to win 5-0 away in the Champions League and not play a great game," said Solari, who was only hired on an interim basis but hasn't been ruled out as a candidate for the permanent job. "I'm very happy, but this was all about the players, it's their merit." Solari said he is only thinking about the next match, not about keeping his position. But players didn't hide that they are behind the former Madrid player. "Why not?" Benzema said. "We are doing well with him, he should stay until the end of the season. He is a great coach. We are playing with more confidence." Madrid and Roma can both seal a place in the knockout stage with one win from their final two games. Czech champion Viktoria Plzen, playing in the group stage for the first time since 2013, stayed on one point and was eliminated. Madrid had struggled in a 2-1 win over Viktoria Plzen at home in the team's second-to-last match under Lopetegui, who was eventually fired after a demoralising 5-1 loss to Barcelona at Camp Nou Stadium. Madrid have outscored opponents 11-0 with former player Solari. The Spanish team lost five of its last seven matches with Lopetegui, conceding 13 goals and scoring four. The Czech hosts started well and almost opened the scoring when Madrid defender Nacho Fernandez deflected a ball onto the crossbar. Madrid struggled to control the game until Benzema's superb goal in the 21st minute. The French striker entered the area and cleared three defenders before sending a low shot underneath goalkeeper Ales Hruska. "I play football to make history," said Benzema, who now has 201 goals with Madrid. "Sometimes people don't really understand what I do on the pitch. I'm there to help my teammates as well as score goals. For me the important thing always is winning." It got better still for Madrid when Casemiro, in his 50th Champions League appearance, added to the lead two minutes later with a header from a corner. Benzema netted his second goal with a header after being set up by Gareth Bale, and the Wales forward found the net in the 40th from inside the area. Kroos closed the scoring with a second-half lob over Hruska after a pass by substitute Vinicius Junior, the young Brazilian who was making his Champions League debut. "It was hard blow for our confidence and it was difficult to cope with it," Viktoria Plzen coach Pavel Vrba said. Solari, a former Argentina and Madrid midfielder, took over the main squad after coaching Madrid's "B'' team in recent years. Former Chelsea coach Antonio Conte and Belgium manager Roberto Martinez were touted as possible replacements for Lopetegui, but talks about them faded significantly after Solari put the team back on track. Madrid routed third-division club Melilla 4-0 in Solari's debut, then defeated Valladolid to halt the team's five-match winless streak in the Spanish league. Solari left Luka Modric on the bench on Wednesday, starting with Dani Ceballos in midfield along with Kroos and Casemiro. In attack, he used Lucas Vazquez to play with Benzema and Bale. He also played with Thibaut Courtois in goal, instead of Keylor Navas, who had been starting in Champions League matches.